I was well and truly over Greyhound when I resigned on 5th Sept and started a new job the very next day. Greyhound get my vote as Australia’s worst employer – enough said! I am now working for Alsco, mainly delivering miners clothes out to mines around Emerald and Moranbah. Start at 6am, finish at 1.30pm one day, then 5 or 6pm the next day. Lots of overtime on most Saturdays – and I am earning more than I was using my Technicians ticket, with a whole lot less hassle. Last weekend was my first full weekend off since taking 2 days off in the June long weekend. (I worked 24 days straight with Greyhound at the end – they have a huge turnover of staff here in Emerald.) 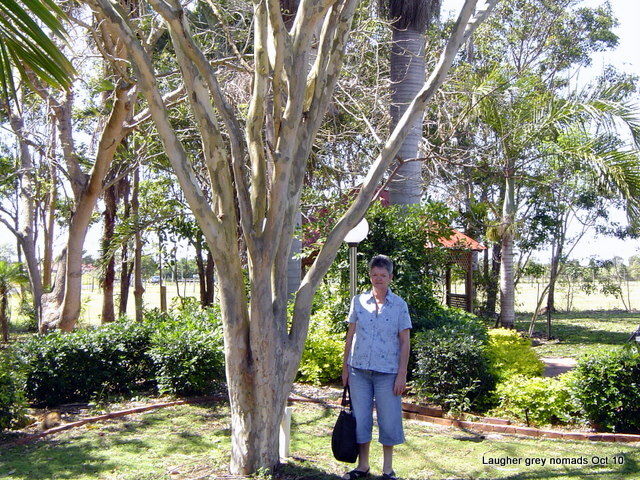 So we took off for Bundaberg (approx 600km) and had a bit of a look around, some fine dining, a massage, etc. 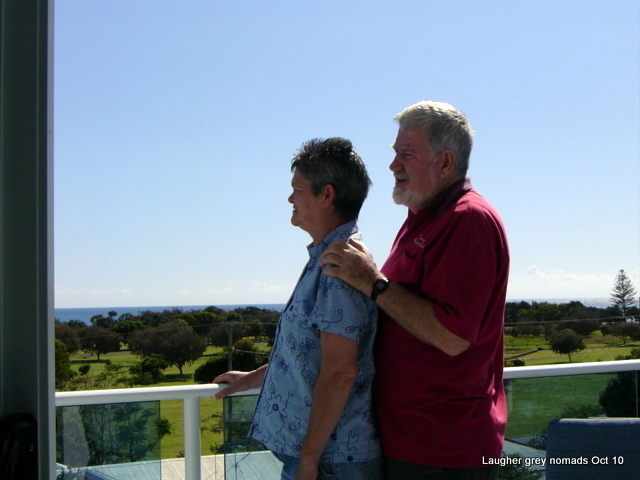 We stayed in a flat with a view over the beach at Bargara- one of Bundaberg’s beachside suburbs. 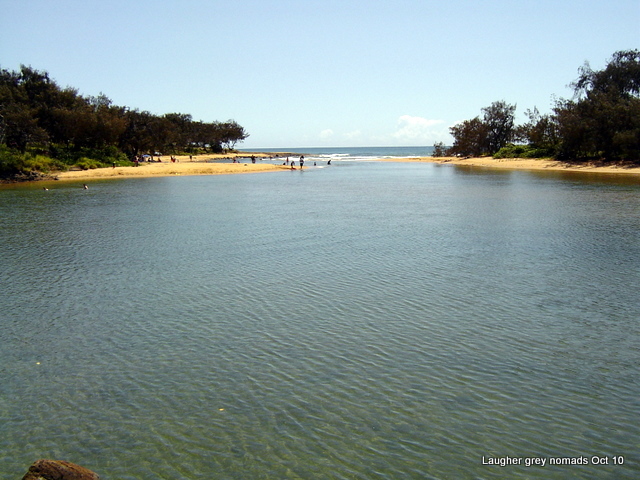 We both took a shine to the next suburb south of Baragara – called Coral Cove, it has a quiet inlet that looked to be a great spot for a swim. 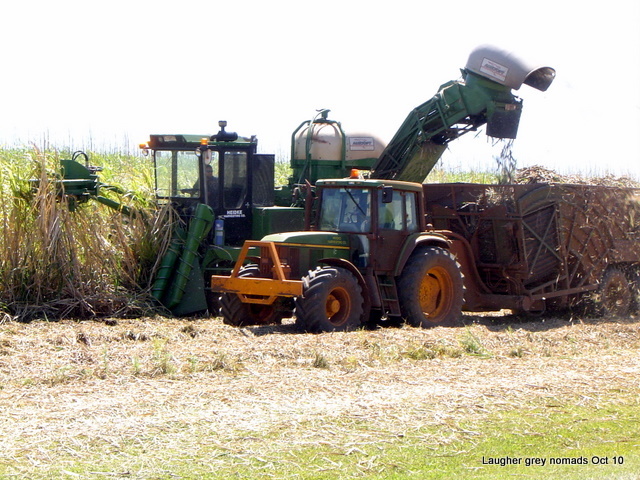 Just on the edge of the village they were harvesting sugar cane. 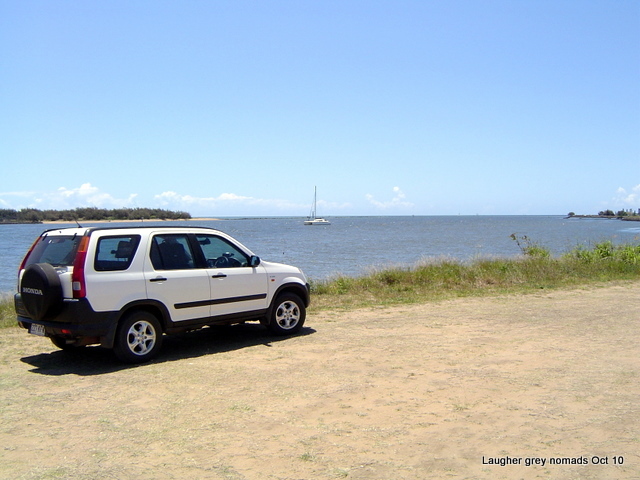 The Honda Crv is serving us well and hasn’t missed a beat for us – I sold the Suzi a while back as I wasn’t using it at all and our site is already full with the truck, caravan, and carport for the Honda car and the motorbike. 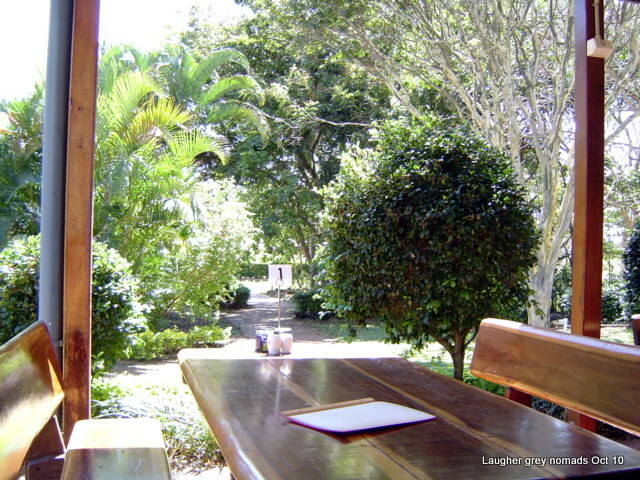 On Sunday morning we had breakfast in the garden cafe at the Bargara Berry Farm – a beautiful spot for a delicious and decadent breakfast.